There were 10 of us, all whimpering, with kleenex passing, and tears flowing as we left the movie theater . But it was so worth it. I would definitely label "Me Before You" the movie, as a chick flick with all the trappings of good looking actors, tear jerking moments, loveable characters and an ending that will leave you in a puddle. Emilia Clark (the famous Mother of Dragons in Game of Thrones) played the quirky care giver to the exceptionally handsome Sam Clafin as the paraplegic. Read the book, then go see the movie, I was emotionally enchanted by both. With 0% chance of precipitation, according to my 5 weather apps on my I-Phone I was completely surprised to walk out of Walgreens with milk and creamer (had to have that for my morning coffee) to rain last evening. It was about 9:30 PM, and it was then that it occurred to me that I had no milk and no creamer for my morning coffee. I debated about going, still had my dirty kneed pants on, still mud under the fingernails, probably smelled like bug spray, but I knew that the morning would not bring a smile without that creamer. We each have our little needs and that is mine. I can tolerate milk instead of creamer, but I didn't even have that. It was perfect timing on Mother Nature's clock to give us a brief shower since I had planted so much that day. Rain is so much better than water from the hose. So thanks Mr. Weatherman for that Accurate Weather Forecast. I've been wondering about the book and the movie. Thanks for the nudge. I will start with the book. I too, need that creamer! Oy the weather. If you don't like it wait a minute? I heard the movie is a tear jerker! I love a good chick flick! I'm going to look up the book first. What is creamer? We don't have that here. What is is made of? In Switzerland, very light real cream (12% fat) is used in coffee. It's perfect. 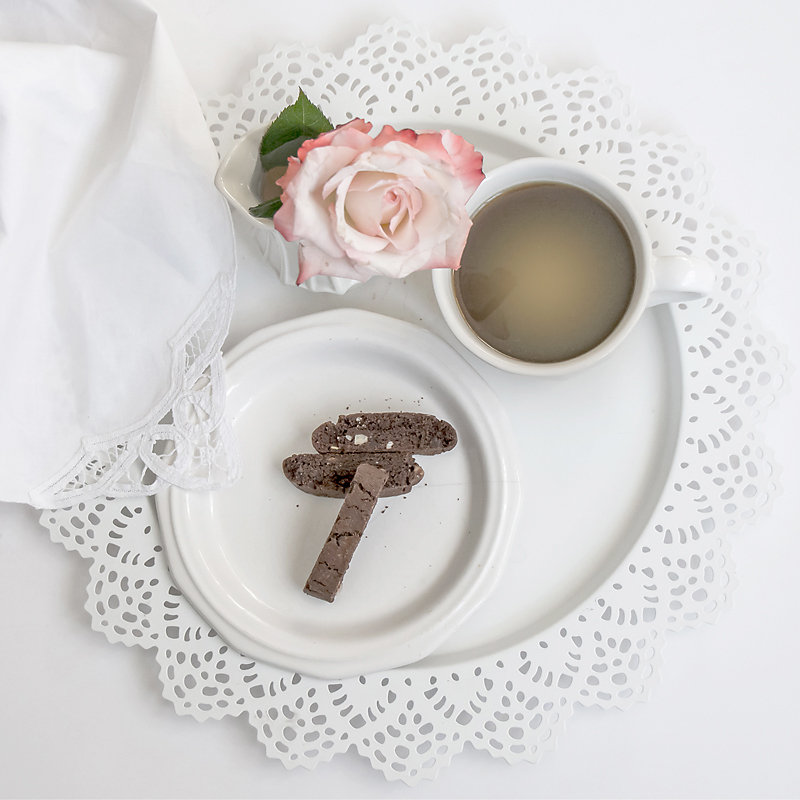 I like the lacy tray and napkin in your artistic snack above! Love the last quote. I will take my hanky then to the film on Thursday!!! Off to. tour a castle today that people still live in but is rarely ever open to the public. I read the book. And, the movie is definately on my to do list. Sounds like a "must see" soon . . . I loved the book . . . sounds like the movie is good too . . Even through the tears . . .
And this is a "keeper quote!" I've not heard of this book/movie either. Of course I like happy endings so if this one was a tear-jerker it might not be for me. Five weather apps? I bet they all say something different to. I liked the book so I'll be on the lookout for when the movie can be rented. I wish my snack looked as pretty as yours (but with black coffee). I love the quote. We could use a nice long gentle rain, but nothing in the forecast. Whose Winning the Population Battle? ?